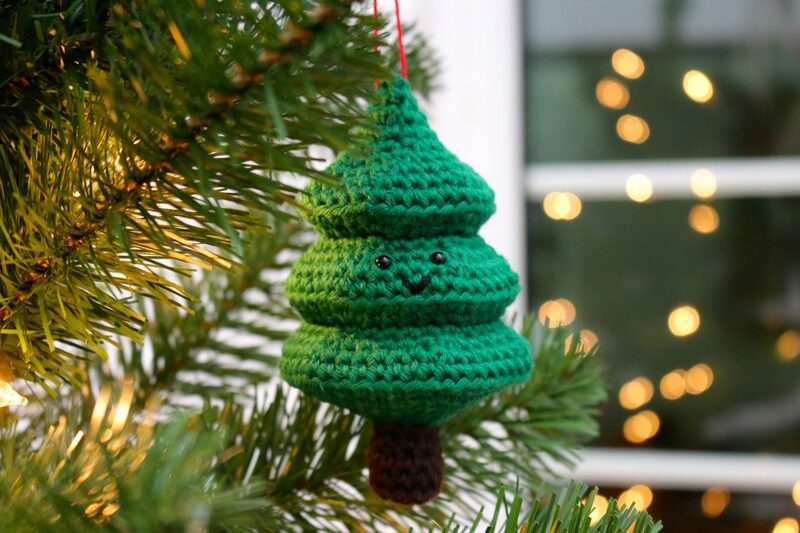 Ferdinand, the fir tree makes a cheery addition to your Christmas decorations! Hang him in your Christmas tree or elsewhere and let him spread some festive cheer. 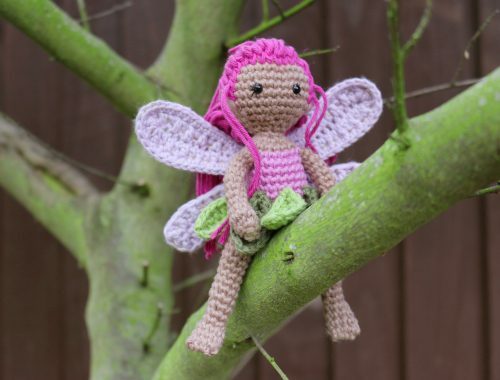 This is an Amigurumi crochet pattern ideal for improving or practised crocheters. But don’t be discouraged if you are a beginner. 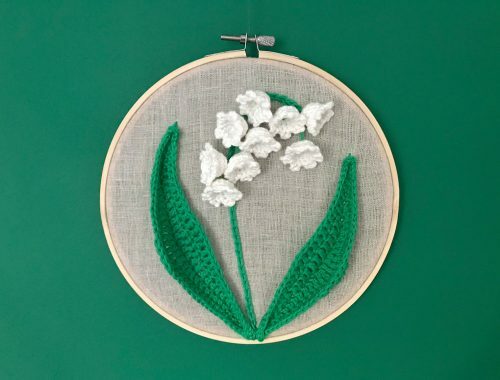 You can learn the stitches and techniques you need to know to crochet Ferdinand in no time. 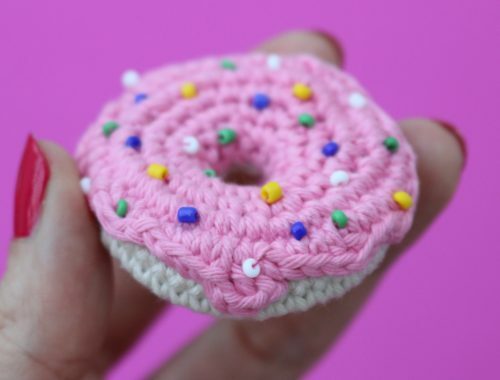 You will need to single crochet (or double crochet as it is called in British terms), make a magic ring, and make an invisible decrease. You can learn all of these right here on the blog, or on my Youtube channel. This pattern is written in U.S. terminology. 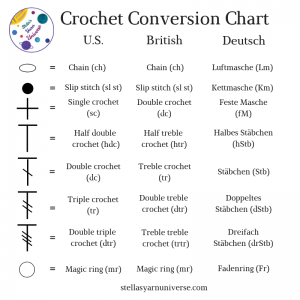 If you are used to British or Australian terms simply replace sc (single crochet) with dc (double crochet). Using the brown yarn make a magic ring. Now it’s time to fill the tree’s trunk with toy stuffing. Take a small amount, squeeze it into a ball, and push it in the trunk with the back oh your crochet hook. Now you can place the eyes and embroider the smile. Make sure you are happy with the placement of the eyes before securing them. Embroider the smile with the black embroidery thread and your large eyed needle. Tie the ends together on the left side of your work and cut them short. If you prefer you can also watch the video tutorial in which I walk you through the pattern. I hope you enjoyed this pattern! Let me know what you thing or post any questions you might have in the comments below. Do you wanna save this pattern for later? 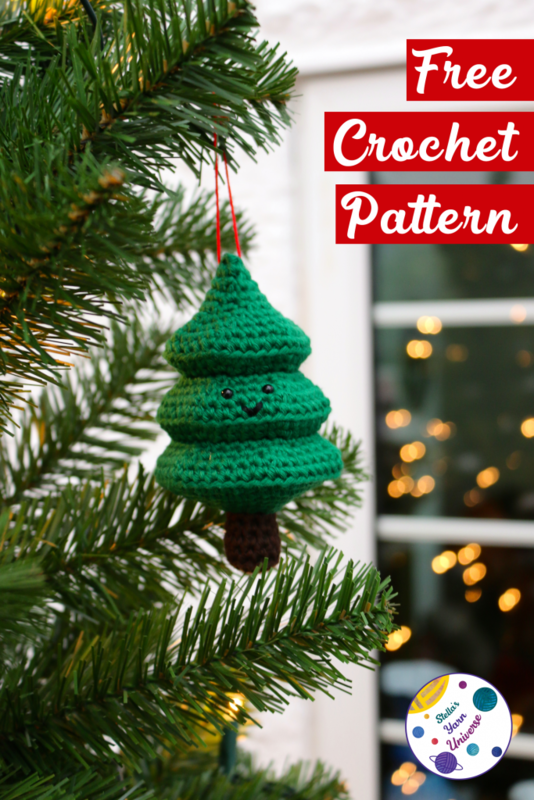 You can pin it to your crochet board! Wanna make sure you never miss any pattern release? Follow me on Pinterest, Instagram, or Facebook!